Do you want a life without stress and anxiety, and filled with energy and happiness? Then, embracing yourself (self-acceptance) and your emotions is critically important. Do I feel that I am good enough the way that I am? Is it okay to feel negative emotions? If you answered “No” to at least one of these questions, then you might be putting a lot of emotional pressure on yourself. 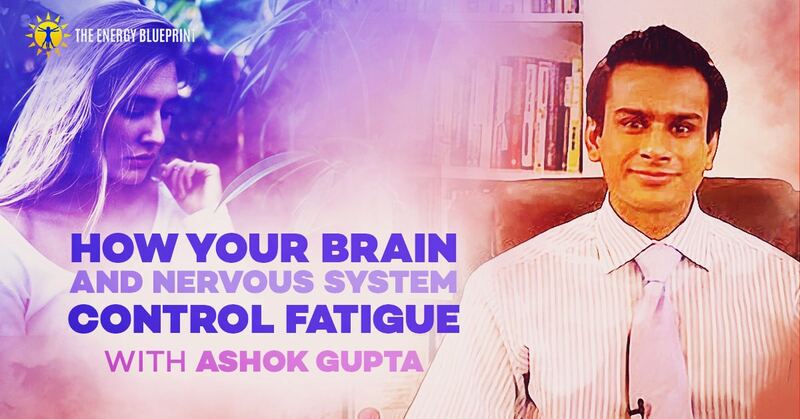 This pressure can cause psychological stress, which constantly drains your energy levels. 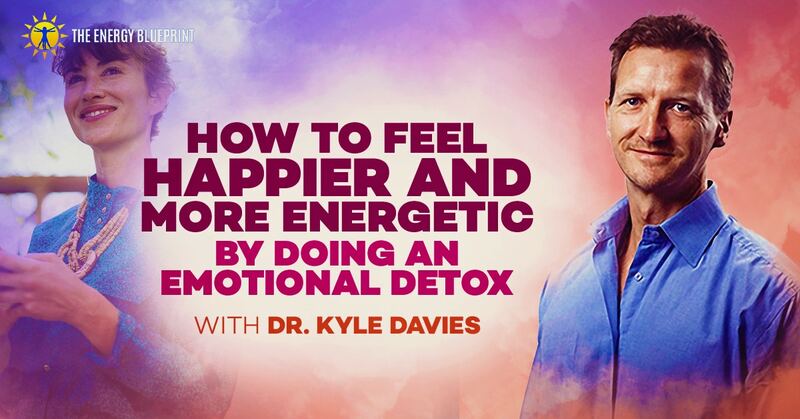 This week, Kyle Davies Ph.D. is sharing how he helps people get rid of emotional stress and learn self-acceptance in order to overcome conditions from chronic fatigue, to anxiety, to migraines, to irritable bowel syndrome. Ari Whitten: Hey guys. This is Ari Whitten, and welcome back to the Energy Blueprint podcast. Today’s episode is called, How To feel Happier And More Energetic By Doing An Emotional Detox. I have with me Kyle Davies, who is a chartered psychologist, a therapist, a coach, a speaker, and author of The Intelligent Body: Reversing Chronic Fatigue and Pain from the Inside Out. He spent the last 15 years helping sufferers of chronic health issues like chronic fatigue syndrome, fibromyalgia, irritable bowel syndrome, depression, and anxiety recover their health and live richer, more rewarding lives. So I’d like to welcome him to the show, and it’s a great episode, and I hope you guys enjoy it. So welcome Kyle. Thank you so much for joining me. Dr. Kyle Davies: Well thanks for being here. Thanks for being here? Thanks for having me I should say, not thanks for being here. Ari Whitten: So let’s start off by just having you tell everyone a little about how you came to do what it is that you do and how you got into this particular approach to dealing with fatigue. Dr. Kyle Davies: So I am a psychologist by original trade. I started my life working in management consulting doing a whole range of different things. I was particularly interested in kind of coaching side of stuff. But one of the things that were kind of interesting to me was I felt, “We need to work on things.” People kind of wore a mask. They were a manager or they were a technician. Whatever they were. They were playing their role. And I was kind of keen to get a bit deeper. So I trained in a variety of different types of therapy. Opened a clinic in around 1999 and started working with stress, anxiety, depression. Those sort of things. So he had done some of the same training that I’d done, and he started a little practice on the side. And he was trying various ideas, taking the methods that we kind of learned, tweaking them, changing things. And before long he was beginning to notice that he was having some … He was making a difference. So at the time, we thought we’d be sort of rich and famous really. But I guess what was interesting about it was because the work is based on emotion and stress, for the most part, people still entertain the idea of a mind/body split. So people would say to us, “Well how can you possibly help a physical condition because you’re talking about something that’s all in the mind?” How to feel happier? So there was a lot of resistance. And I think there still is resistance even though today there are, 15 or so years later, there is a variety of different treatment approaches now that come from the same sort of background. There’s a lot of people out there that still want medicine to come up with the answer, and they still have that sort of mind/body split. So think, if you use the word emotion, people are often thinking, “Well this is made up. It’s all in my mind. It’s not real. So no, you’re wrong. That can’t be right.” So that’s the background. And I guess one of the interesting things as well as, we tried, I tried for a long time to get research done but it’s amazing how hard it is to have academics look at what you do. So with my business partner then, he’d been a GP, he came out of being a GP, and after a while got jaded really I think because he felt that … He was hoping that we’d make progress. He found himself in business, and he didn’t want to be in business. He wanted to be helping people. So he went back to being a GP and I’ve kind of kept the flag flying. Obviously continued to change and evolve the process, and still working with it. Ari Whitten: Excellent. So one thing I wanted to comment on, I didn’t want to interrupt your flow in your introduction, but this mind/body split and one of the interesting things that are I think going on there when it comes to chronic fatigue is, people who are experiencing chronic fatigue know that it is a very visceral thing, that in their body they can feel their body just doesn’t have the energy to do what they need to do. And to function. And they can feel if they try to walk up a flight of stairs or do anything physical there’s this very real body component. Yet at the same time, in conventional medical circles, chronic fatigue syndrome, historically, has been viewed as a purely psychosomatic thing where it’s often viewed as hypochondria or just depression and these people are prescribed antidepressants. It’s viewed as purely in the mind by a lot of MDs, has historically been. So there’s been this kind of contrast and now, fortunately, in the last few years there’s been some studies that have emerged showing there are layers of dysfunction going on in the brain, and in the body, and in the mitochondria, and hormonal stuff, and there are lots of different layers of dysfunction in both the brain and body. So anyway, I just wanted to mention that it’s kind of interesting how the experience of chronic fatigue for someone with it meshes with the way that a lot of MDs have historically viewed it. And I think that one of the reasons probably why a certain proportion of the population of sufferers have been hostile to these sorts of treatments, is because they’ve already felt that they’ve been treated badly by medicine, so they want to be taken seriously. So rather than having us saying, “Oh it actually is all in your head,” which of course we haven’t been saying. But they’re assuming that we are because medicine can’t measure it. But as you said, things are beginning to change that. But I mean our sense was there was always something going on in the muscles. Now whether they were chemically working … I know Dr. John Sarno and his work, he talked about a crystallizing of oxygen or something in muscles. But we always saw it as HPA axis. There’s something going on within the emotional midbrain. It’s becoming overactive at some level. Not that we’ve been able to measure that, but we’re assuming that it probably must be, and that then affects nervous system, endocrine system and what not. And that then, is what leads to the experience of symptoms. And the symptoms are real because there’s that chain reaction. And from my perspective, it’s a chain reaction of emotional … Or stress. Because I guess that’s one of the interesting things about stress as well isn’t it? Is that whether you have a physical injury, whether you have an emotional trauma, whether you have a bad case of flu or an illness, you have a bad diet, you’ve taken too many drugs, the stress response in the body is exactly the same. And I think that’s one of the key things, especially with mind/body is that again people often view stress as being that agitated feeling that you have if you’ve had a hard day at work. Whereas that agitated feeling for me is a feeling. I think one of the crucial things about stress is that a body can be in a state of stress without us being aware of it. And the fact that all those different things can trigger the stress response for me is kind of interesting. I mean, last year I had two clients with fibromyalgia [inaudible]. Two who said, “My fibro was caused by a car accident.” Now for me, a car accident again triggers the stress response. So it’s the simple way that I see it. It’s almost like having a stress bucket, and all of these things go inside. So if you’re eating poorly, if you’re sleeping badly if you’re maybe over-exercising, you’ve been drinking excessively, you’re bearing emotions which for me is the big thing. Emotion gets shoved down and down and down in that stress bucket. And then, of course, a car accident on top for me, that was the final straw that tips them into illness. But I think, it’s useful to see that expanded perspective on stress rather than that common idea of stress as being that nervous, agitated feeling that people get. So yeah, I guess I’ve always seen it as something … The symptoms as being real, not something that anyone would just think that they have. But I guess it’s just taken a long time for medicine to find out what’s going on. Ari Whitten: Yeah. And I appreciate the paradigm that you just kind of presented here, is a very big, kind of holistic, all-encompassing paradigm. And you know, I think it helps explain a lot of just the chronic disease that’s occurring in general in the world right now. Dr. Kyle Davies: Oh it’s a big question that. It’s interesting because I remember years ago reading the book When the Body Says No by Dr. Gabor Mate. And at the time we’d been subject to people being reasonably hostile towards us because we were saying that emotion can lead to illness. And we were obviously talking about CFS, and fibro where the symptoms are reversible. So my sense of it is probably the case, that chronic illness has a number of primary causes. That would be my guess. And that it’s like a combination lock, and when all of the factors are lined up with your genes, with your diet, your exercise, all those things that are in that stress bucket, the environment, your emotions, when all of these things are kind of lined up the lock opens, or the lock shuts really, and you get ill. So why does one person have chronic anxiety or one person have chronic pain? Could it be their genes? I don’t have a definitive answer to that. My sense is that is that it probably is. Because my focus has been on, as a one to one practitioner with people I’ve seen, and groups as well, but it’s working with people, I’m trying to distill the ideas down into something that people can understand and work with. How to feel happier? I’ve adopted a similar approach. There are unique elements if I’m working with depression, or anxiety, or fibro, but it’s … The underlying essence of it is still the same, which is that when your stress bucket is full … And the main thing that I’m going to look at is your emotion and the extent to which that’s blocked, and we’ve got to get that flowing, and we’ve got to get you back in touch with you. I guess one of the things for me as well over the years is that because the work I’ve been doing is recently new, and these ideas are recently new, I would say the vast majority of people that have CFS and fibro, and those sorts of chronic fatigue and pain issues, they will have already looked at diet for the most part. Most people can’t exercise anyway, but a lot of them would have spent a long time looking at diet and would be taking various things. So I never really tinkered with that because it’s not my field anyway. But lots of people would have looked at what seems to work for them, and what doesn’t work for them. It was often that emotional which was the big piece it seemed to me, was the piece that they needed to sort. But my sense as well in terms of that combination, that it’s probably different for different people. So my guess is that there’ll be some people where the emotion being blocked up is a huge piece, but it may be for others their diets may be the biggest piece. Ari Whitten: Yeah. Maybe. Interesting. You know, since you work one to one with people and you’re working primarily with psychoemotional, psychospiritual types of things, I’m curious about what kinds of insights you have into personality differences. Maybe some unique personality traits that you see very commonly in people with chronic fatigue, and I’ve seen some research on this in the area of achiever types, and self-critical perfectionism, and things of that nature. But I’m curious, just as a clinician, working in that area, what kinds of things you’ve seen. Dr. Kyle Davies: It’s probably the same sorts of things really. So it’s perfectionism, it’s a tendency to put other people before themselves. A lot of that tends to stem from childhood where there have been issues at home and there have been problems with a parent so that the child has looked after the parent, and put the parent’s needs before their own. And as they’ve grown up that’s become the pattern. So there is definitely a disconnect from what I would call their true self. And it comes from a very externalized view of, I need to match myself to the world. So defining themselves has been something they’re not quite sure at. What can come with that as well is unfair treatment. So lots of them will find there’s history of being badly treated by others. So it’s getting that sort of boundary in place as well. But I guess it’s kind of broad brush. I’ve always been … I’m always kind of conscious of saying those things that everyone’s case is unique. It’s almost like symptoms … There are overlapping symptoms of fatigue and pain, but everyone has their own unique little things that are happening. So everyone’s experience of life is different, and every case is different. But I guess there is those broad brush kind of areas. The thing of defining oneself and putting other people before me, that’s quite a big pattern. Ari Whitten: Is that something that you make a point of really addressing in your work with people? Dr. Kyle Davies: I guess it is. It’s the same. What I try to do with everybody I work with is start with a blank slate to a certain extent. So I’m conscious of the things that are probably going to arise, but I’m aware that they might not. So I don’t try to imprint that on them. But yeah, the patterns often emerge, but it’s to say their own unique sort of ways. Ari Whitten: So there’s been a lot of discussion in recent years, in the last, I don’t know, couple decades around stress. And we also know that depression and anxiety are now becoming an epidemic all over the Western world. And I’m just wondering, as a psychologist, if you have any unique insights into why stress, and depression, and anxiety are now such a big deal and are so common. Dr. Kyle Davies: I think in a simple way, and I guess my preference in the work that I do is to keep things as simple as we can, is that we’ve deviated from ourselves. Our true selves. So we’re very externalized in our focus. We’re trying to be productive all the time. We’re trying to succeed, we’re trying to do well, and there just seems to be this endless pressure, not only to succeed at work, but you have to know how to feel happier, you’ve got to be well traveled, you’ve got to post your pictures online. You know, all this kind of stuff. So you’ve got to be seen to be having this amazing life. And I think that what’s happening is that with that external focus, I think that we’re deviating further and further from who we really are. So there’s … That’s one aspect. I think there probably is a culture, our lifestyles are quite different from the lifestyles we’ve led for hundreds of thousands of years where we lived outdoors in small tribes, where we connect. Whereas now we live in a box. We drive to work in a box. We often sit in a box. We stare at a box. And so that kind of fulfillment is devoid in many people’s lives, I think. And so, I guess, culture, in that regard, has moved on … It evolved quicker than we have. So I think that are simple things out there of it’s good to get out in nature. People notice the difference it makes, and even though it’s, “Oh my god it can’t be that simple,” it can have a big effect. So my sense of it is that. It’s that we’ve become very externalized, there’s a focus on trying to match ourselves to some version we think the world wants of us, and we’re not taught about how important it is to connect with ourselves, our feelings, and who we are. And I think that coupled with this, as a result … That combined with this idea that’s it’s very easy to be in a lifestyle where you get stuck in a trance-like state of, “I have to go to work. I’ve got debt,” and because we’re always on, and we’re having to look to the next thing, and the next thing, and the next thing, people kind of life in their heads. You’re washing dishes while you’re thinking about the next six things you have to do. And I think, with that people are continually doing the same things over and over again. So they’re reinventing the same version of themselves. So if they don’t feel good, their feelings, their thoughts, their perceptions, they’re just repeating the same patterns over and over. Actually, there’s a third point I’ll chuck in. I think the third point, and this is really a personal perspective, which is I wonder whether we’re defining problems too quickly. So I think that there is a tendency to medicate in our culture. So antidepressants in Wales, and I think that’s the same as the UK as a whole, have the prescriptions for them have doubled in the last six years. Ari Whitten: Yeah. The same trend exists in the United States as well. Dr. Kyle Davies: It’s unbelievable. But I think the thing is, if people are not feeling great, they go to their doctor because doctors, certainly here, they’ve got about five minutes with you. They want to get you out the door. They’ll give you something. And I think these days people go to their doctor and they ask. So my sense of it is that there’s a really interesting thing that I think that’s, for me, and this is, I guess, part of my work, is that feel that as a human being there’s a natural flow. There are cycles to life, and there’s a flow to how we are. So there are times when we feel connected, we feel good, we feel great. And there are times where we feel off kilter. We don’t feel so good. We feel a bit low. And there’s a natural swing with that. For me, our tendency is to feel better but we do have those swings. You sort of see this with kids where, especially when they’re small, they could be happy one minute, they’re crying the next. They’re best friends with somebody, then they hate them, then they’re best friends again. But there is this flow because they don’t hold grudges because their frontal lobe is not developed so they don’t overthink it. And for some people, they turn white because aside from … If they’re able to work, this work, but aside from the kind of chores of life, the rest of their life is very often spent with trying to fix themselves and this means researching, reading, being on forums and all this sort of stuff. And it all comes from a foundation of, “There’s something wrong with me. I need to fix myself.” So I think generally as a Western culture, I wonder whether we’re sort of fixated with having to feel good all of the time, and we don’t allow ourselves to feel the flow that is life. Because I think that if we didn’t frantically try to fix ourselves so quickly, I wonder whether we’d naturally get back to feeling normal and life would flow, rather than, “Oh my god I’ve got to fix myself with something. Whatever that may be.” It could be food, it could be drinks, it could be something I’m doing in my head. But I sort of waffled a bit there. Dr. Kyle Davies: The balance point I say comes through feeling because much of my work is largely about that and it’s about trusting that feeling. So I mean I’ve had the same things myself. Last year I had knee surgery. Once that was in place, and I had my rehab program in place, it was like, “Stop researching,” because that was the line for me. And it’s about trusting that feeling. Now I’ve had the same thing with just improving myself because all my life I’ve wanted to be as smart as I can, as fit as I can. All these sorts of thing. But again, it’s one of those things where I think it’s important to gauge through feeling whether, “Okay, am I moving in a direction of improvement here or am I just putting pressure on myself and presupposing that I’m broken?” And I think trusting that feeling, or if I feel tense inside, there’s probably something going on here and it may well be that if I’m coming from a space of fear, I’m putting pressure on myself to have to sort something out. Then the feeling is feedback that I need to adjust what it is that I’m doing. Dr. Kyle Davies: Because that’s not the case anyway. And there should be some kind of questioning as to why that’s happening or if you’re not operating in a neurotransmitter centric paradigm, still the question is, “Why are rates of depression skyrocketing in the modern world?” And then there should at least be some kind of attempt to address those underlying factors, which you had mentioned some of those factors earlier. Dr. Kyle Davies: How to feel happier. Well yeah, I guess so. But I guess it depends on who you ask doesn’t it? So obviously, I’m interested and I’m putting forward a theory as to cause. Obviously what we know with medicine is despite all the fantastic things that it does, is that it doesn’t address the cause, and it’s not looking to. The drug companies are probably not looking to do that either. They’re looking to sell drugs and keep symptoms at bay. So it’s good for business though isn’t really? All those drugs being sold. But that’s … I suppose it depends on who’s asking that question. Yeah, you’d think, “Well that is the question to ask. What the hell is going on here, and what can we do?” But in whose interest is it to get an answer to that question? Obviously we would argue it’s in the interest of Joe Public, but medicine is a big beast and certainly, in this country it’s kind of overstretched, so trying to get it to … It’s like a big tanker in the sea. Trying to get it to change direction is not easy. Ari Whitten: So one other thing I want to go back to is this idea that you mentioned about people feeling like, “Something’s wrong with me and I need to do something to fix me.” Now, as a psychologist and as a practitioner working one on one with people, how do you find the balance there between the fact that part of the reason that person is there to see you are … Kind of the underlying thing in that dynamic is actually it’s an attempt to get help to fix something that’s wrong with them. So how do you I guess, find the balance in that? On the one hand, you’re kind of telling them not to be in that place of always trying to fix yourself, yet they’re there to see you in kind of an effort to fix themselves. And so let me give you an example. I’ve got a client at the moment and she’s a coaching client, so I do life coaching as well. And she’s going through a divorce, and she’s experiencing a lot of anger, a lot of fear, a lot of sadness, and in the first session, it became apparent that she was viewing the experience of the presence of those feelings as a problem. So she was trying to normalize them by talking to her friends. “Is this normal? Am I allowed to feel this? Should I feel this? Should I feel something else?” And because she was kind of in a space of believing I probably shouldn’t be feeling these things, she was then sort of trying to fix herself. Or she was trying to sort it out mainly in her head. And that’s generally what happens because the presence of uncomfortable feelings tends to trigger our thinking or exacerbate our thinking. Again, it’s that idea of, “Well what we want to do is identify exactly what is going on.” From my perspective, a symptom is a messenger and essentially that our stress bucket is full. Looking at it in that very simple way. But what we want to do is identify, “Okay so what are those symptoms presenting themselves because your body’s trying to tell you something when they are, and we want to work out what your body’s trying to tell you so we can do something.” And if we’re not doing that, then you want to be as best you can enjoy life as much as that’s possible given what you’re experiencing. So it’s really trying to define what the problem is. Is this a problem? This maybe isn’t a problem. Okay. Are our steps? What do we need to do to move to where we want to be? Because this is where I’d like to be. This is my caliber outcome. How do I get there? What’s the most expedient way of me achieving that? Like with my knee it’s very easy to be consumed, and when you become consumed with, “Oh my god I’ve got to fix this, I’ve got to fix this,” That internal pressure can build. And of course, my knee issue I guess is a bit different because that was an injury which was caused by something I did at the gym. And the emotions of tension and pressure that I was feeling probably weren’t exacerbating that injury. Now conversely, if you’re experiencing fatigue and pain symptoms, or anxiety symptoms, and the emotion in your stress bucket is a big component of why those symptoms are present, the additional pressure and tension that is present are exacerbating those symptoms. Dr. Kyle Davies: Oh my god. I didn’t know that. Ari Whitten: Yeah. So I want to talk to you more about that. But you’re bringing up a lot of things that are very interesting to me. I’m actually having to censor all these thoughts that are in my head and kind of not digress into too many different topics here. But one thing I did want to mention is while I was in school, I definitely noticed a very common theme among some of the other Ph.D. students which were that there can be tendency to endlessly psychoanalyze. And it can become almost an addiction to talk about your inner dynamic. Psychological, emotional dynamics, analyze other people’s and it was what we talked about all of the time. And I actually got sick of it at a certain point. And I said, kind of what you just said a few minutes ago, which is that at a certain point I want to be done psychoanalyzing and I just want to live my life. I don’t want to be endlessly trying to analyze myself and others that I’m interacting with, and trying to figure things out so that we can get to a point where with the kind of the idea in mind, the presupposition, that once we do enough analyzing and healing then you can get to a place where you can live your life well. And I think one of the problems we have is we become so kind of head, or thinking, or mind orientated that we lose touch with our feeling feedback. I don’t think we place the importance on it that we need. And because I think feelings will let you know. But it’s to say I think we’ve become a society of culture which is override feelings, and we’re kind of from kids in school, it’s all about thinking. It’s all about developing your cognitive stuff, isn’t it? You’re not really taught about emotions, intuitive feelings, and the importance of trusting those things and being guided and balancing those things. It’s all about maths, and physics, and English, and history, and making sure you’re remembering things. It’s balance, I think is a symptom of that. Ari Whitten: For sure. Yeah. One more question related to psychology. I’m curious what schools of thought, or schools of psychotherapy you’ve been most influenced by and from the sounds of it, it sounds like you’ve kind of developed your own mixing and melding of kind of different methods to form your own method. But I’m curious if you favor certain schools of thought, or certain schools of thought have influenced you more than others. Dr. Kyle Davies: That’s a good question because it’s probably been a long time since I’ve researched in all this stuff. So when I started in therapy I did some counseling training which was humanistic counseling. I did a lot of NLP. I did Ericsonian hypnosis work. I did a lot of tapping therapies. I did some CBT. And I’m 47 now so I’ve continued to read. So I couldn’t say really that there … I mean I guess everything has an influence. My approach was cognitively orientated when I started out, and I think one of the interesting things was working with Tegan Pain. It seemed to me that changing people’s thoughts didn’t really work. And this is what we were finding. And then I came across the work of HeartMath out there in California with you, and they’re obviously interested in the heart, and their research was showing that some … That our emotional processing occurs at higher speeds than….. plus our cognizant processing. And that seemed to fall in line with what we were finding really. That it seemed that even though there is this very complex mix of thinking emotion environment behavior, it seems to me that our emotion was affecting our thinking more than our thinking was affecting our emotion. And I was also interested as well in the idea of thinking and feeling being slightly different things. So this comes from the work of Antonio Damasio, and I thought that’s kind of really interesting because we use the words interchangeably normally. But his idea was that our emotion is a non-conscious process. And he was saying that well the brain systems involved with feeling are slightly different to those involved in emotion. And it kind of made sense in terms of the sort of things I was seeing in regards to symptoms because it seemed to me that when emotion builds up, it’s possible for us to block off feelings and not become aware of feelings. And I think this is essentially what happens to people is that feelings get blocked to the extent that people don’t feel those feelings. And it’s almost as if, because the body uses feelings as a way to get our attention, if the feelings are not getting through that it switches to using something else and it begins to use symptoms. And what I found is that people’s experience of symptoms always gets worse. If I’m working with somebody with chronic fatigue or fibro, they would have always started much earlier in life with something milder. Could be anxiety, it could be some depression, it could be stomach problems, it could be insomnia, it could be some headaches, and it always starts with some milder symptoms that they … That either go because there seems to be some sort of cycle with the way symptoms come and go and they come back more intensely. Or they would have done some work to alleviate those symptoms and then at some point later they come back. And every time they come back, they come back more intensely. And it was kind of interesting because what it could be then, what’s happening is, it’s possible for us to block feelings so that we don’t have them, but we can’t block emotion because emotion is a non-conscious process. And that is affecting the midbrain and therefore the systems. So my sense of it then was, I guess kind of my colleagues, was that well probably what’s happening is say emotion is building up, not being felt and the body is using symptoms more and more intensely to get our attention. I’ve probably gone right off your original question which I can’t remember at all. Ari Whitten: It’s great. And I’m actually really glad that you brought up Damasio because it’s actually a major pet peeve of mine when people talk about thoughts and feelings, and emotions without reading his work because most people don’t really understand the meaning of those words. He’s, by far, I think the best … That’s the best explanation from a very grounded scientific and neurological perspective of what these different things are and where they exist in the brain, and what these words mean because a lot of people use these words kind of to mean different things. So I think the explanation was great. So one of the other things I wanted to ask you about is in your bio you mention that you meld the scientific with the metaphysical. And we’ve talked a lot about psychoemotional stuff, but I’m wondering what you mean by metaphysical and how you think the metaphysical aspect of things figures into all of this. Dr. Kyle Davies: So I’m a bit spiritually weird, and a bit woo woo. But I’m very conscious that there are lots of people out there suffering who are not. So I guess in terms of the way I work, I tend to … If people are interested in spiritually things, and I tend to direct that we work down that path. But if people are not, then we don’t have to. So what does it mean? Okay, so I’ve talked a true self. There is [inaudible] What does that mean? Is that your soul? Well, it could be. I think … I have a sense that history repeats itself in terms of the things that people experience, and what I’ve seen with clients. So I kind of look at it from a perspective of, it’s almost as if we have life lessons that we come in and we draw towards circumstances and people that enable us to learn those lessons because we have experiences. So from a spiritual perspective, in a reasonably bland sort of way, I suppose I make it all about the person. So your life is about you. It’s your journey. And it’s not that your boss makes you angry, it’s that your emotion arises inside of you. But it’s ultimately it’s about you. So we don’t want to blame your boss. What we want to do is understand what your feelings are trying to teach you about the way you go about life. So there’s that. And there’s the kind of idea that, well a sense that to a large extent we probably are creating our experience. We’re definitely playing a huge role in our feeling experience because my belief is that our emotion is feedback about our interaction with our environment and the meaning that we place on that environment. So I don’t believe that our emotion is caused directly by what goes on out there. I think it comes from in here as a result of where we are on any given day because I think again we have this … I think we exist almost on a spectrum from where we’re connected and we feel good and good things happen, and we have a good perception of ourselves, and where we’re disconnected. We sort of feel off-kilter, we have a negative perception of ourselves. We view life in a hostile way. So my sense of it is that we’re fluctuating on that all the time. And I guess I was … That was what I was kind of talking about earlier was there seems to be this natural ebb and flow to how we feel. And my sense is that we gravitate towards generally feeling connected and in a higher consciousness phase. But we do move around. And I think a lot of the time our perception of life and our feelings often arise from where we are on that spectrum more than it’s about life itself. Because when we’re not in a good … And we all have it. And we have those times that we wake up in the morning and we don’t feel … We feel off color. We don’t feel connected. Maybe our head’s a bit foggy. And it may be that we know immediately, “Well I consumed this. I ate this. I did this, or this is building up. This is frustrating.” Or maybe we don’t know. Maybe yesterday was exactly the same as today and the day before. But we just feel a bit off kilter. My sense of it then is, “Right well, if you know that that’s going to affect my perceptions of myself and life, it’s not necessarily that life is … If I go into the office that day and things happen, I may feel more emotion.” What I want to be aware of is well that emotion, it’s about me. It’s not necessarily about my boss. So I think that, as you say, in terms of creation is I think we’re playing a large role in the creation of our feeling experience. I do think as well, I kind of like these ideas that we’re probably radiating something out. And I don’t know what evidence we have because I know HeartMath have measured the electric and magnetic fields of the brain and the heart. But I do wonder this … It seems interesting to me the idea that we radiate some form of quantum energy or subtle energy or whatever out into life. And somehow I wonder … My sense is that probably influences the things that show up in our life. I think well life, our expectations often happen, don’t they? And I think … And I guess there’s a couple of perspectives to that isn’t there? There is that, and I can’t remember who did the research … I do mention this in my book. There was research done, and I can’t think, 20 years ago in a school in the US. And the basic idea of the research was that it was looking to see the influence of teacher’s behavior on pupils. So the teachers and pupils were not told about this experiment. What they were told was that the students had done a particular test, and this test flagged up those pupils that were going to flourish even if they show no potential at all, this test was designed to show that up. And in this one particular class, I think it was like six kids, where the teacher was told, “Well these six kids, even though they show no potential at all, they are going to flourish this year,” because there wasn’t any test but the teacher wasn’t told that. But what they found was over the course of the year, those six kids did flourish. And the kind of idea being that the unconscious beliefs, expectations, or whatever that the teacher held resulted in them behaving in a different way towards those students. Those students then changed the way they behaved. So to a certain extent, there’s scientific evidence that we are influencing life at an unconscious level. Now whether we radiate energy as well and that impact, I mean my sense of it is that it probably does because the old cliché of life is a self-fulfilling prophecy tends to be the case. So I don’t know whether I’m answering your question or not. Ari Whitten: Yeah, absolutely. It’s fascinating. Wonderful. So let me ask you this. If you could have people take away three take-home messages from this interview, three thoughts, three ideas, three strategies or … What would those three key messages on how to feel happier, be? Dr. Kyle Davies: Okay I think the first one would probably be that be open to the idea that the buildup of emotional stress can cause physical illness. I think that is important to we allow ourselves to believe that. The second thing about emotion is that again, I think that a lot of the time people either think emotion’s something that’s all in the head, or it’s something that needs to be talked about or is something that is built up in the past. I think it’s more useful to look at emotion as a complex physiological process, that presents itself, if we’re lucky, if we’re not blocking it, in feeling states in much the same way as hunger or tiredness. And arguably it’s just trying to give us a nudge. So in that regard, in the same regard as if I feel hungry I don’t have to justify my hunger. I don’t have to talk about my hunger. I don’t have to normalize. What I need to do is recognize it’s a feedback mechanism. I would say allow yourself to see the emotion in the same sort of way. Know it’s, “I don’t have to justify it, defend it, explain, figure it out. I don’t have to solve it. It’s just trying to guide me.” And I know it’s a little bit more complex in terms of what we do. But the third bit would be the idea that everything you feel is okay. It’s much a nicer world to live in when you allow your emotion to be. We generally have, because as human beings we seem to have this kind of inbuilt mechanism to move away from discomfort towards comfort, one of the things that often happens that as soon as there’s a negative feeling we quickly want to solve it, we tense up and we resist it. But getting into something of a practice of allowing means that when you allow what you feel, you allow yourself. So I think that, and even though I don’t try to define myself or our true self, I think that one of the closest ways of getting there is how I feel today. So allowing how I feel today without viewing it as a problem, without viewing it as something I have to solve. Just viewing it as a gentle nudge and gentle feedback that might be inviting me to do something makes life much much easier. So I know I kind of … I’ve rolled those into one. Ari Whitten: No, that’s beautiful. A really beautiful message. So where can people find out more about what you do and get in contact with you, learn more about your work, and where would you like to direct people if they’re interested in getting your book or working with you? If they want to know how to feel happier? Dr. Kyle Davies: So my method is called Energy Flow Coaching. I’m just launching a new website which is EnergyFlowCoaching.com. My book which has been out only a couple of months is called The Intelligent Body, which is available all good retailers. So Barnes and Noble, Amazon, more places like that. Ari Whitten: Beautiful. Well, it was absolutely a pleasure talking to you Kyle and I really appreciate you being on and sharing your wisdom helping people finding out how to feel happier. Dr. Kyle Davies: Well thank you for having me, it’s been great. Ari Whitten: Yeah. Take care. Dr. Kyle Davies: Thank you. I would love to download the podcast outside i-tunes. Can’t manage including the podcast about the saunas. Could you help? Yes, if you click on the square icon with the arrow down on the audio player located under the tab “Listen outside iTunes”, you can download the podcast. Hope that information helped. Let us know if you need anything else.